Against all speculations and suspicions Prime Minister K. P. Oli tendered his resignation while responding to the issues included in the no-trust motion registered against him in the parliament. 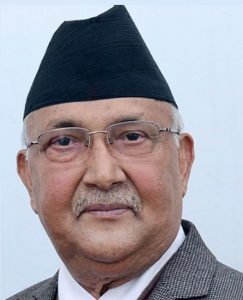 In his about two-hour witty and powerful address to the parliament, Oli not only defended the government but also left an impression of a statesmanship. No prime minister in the past dared to be confident as Oli while delivering his last speech in the capacity of executive prime minister. No prime minister had dared to challenge India as Oli did during his nine-month stay in power. He had initiated plans to free Nepal from Indian clutches and the agreements signed between Nepal and China are testimony to this. Indeed, Oli quit by increasing his political height which his contemporaries will never achieve. As usual, he also cracked jokes and expressed his views very clearly in his last speech as a PM. He also reiterated that he did not want to stick in power. Earlier, the CPN-Maoist Centre and Nepali Congress leaders had suspected whether Oli would apply all measures to remain in power. They even suspected whether he would dissolve the House. Fearing this they also caused failure of the bills relating to budget. But Oli stepped down after responding to the queries included in the no-confidence motion in a very descent and gentle way. Before tendering his resignation he also cleared the constitutional hurdles to form a new government. All in all Maoist boss Pushpa Kamal Dahal who had registered the no trust motion against Oli also appreciated the latter for his bold speech calling him a true statesman. Indeed, through his televised speech Oli earned more friends and supporters than foes. Instead his speech which focused more on making Nepal truly sovereign state by reducing her dependency on India made the NC and Maoist leaders feel ashamed. Body language of Dahal and facial expression of NC president Sher Bahadur Deuba during Oli’s speech showed that they were feeling uneasy for registering the no-motion trust against Oli in a ‘guerrilla warfare’ style. Oli clearly spelled out the works he did in nine months to reduce Nepal’s dependency on India, implement the constitution and address the woes of the earthquake victims. He also asked the parties which registered the no trust motion about the fate of the works initiated during his tenure in office. “I want to know the fate of the Nijgad-Kathmandu fast track which I had decided to build on our own. What will be the fate of the Kerung-Kathmandu-Lumbini railways that we had proposed to build?” Oli asked the House before announcing his resignation. He also warned the Maoist and NC leaders that it was difficult to act than speak. What Oli said turned true as Delhi reportedly celebrated his ousting. Now with Oli’s resignation, Dahal will become new prime minister of Nepal for nine months and he will leave the post for Deuba after holding the local elections. However, it is unlikely that the would- be Dahal-led government will last for nine months because NC has already been divided over letting Dahal lead the government. Again many NC supporters believe that the Oli government was pulled down at the instruction of the Indian establishment. The NC factions led by Ram Chandra Poudel as well as Khum Bahadur Khadka are not happy with party chief Deuba for his unilateral decision to form the new government under Dahal. Again there is no certain that Dahal will be ready to quit in nine months. No gentleman agreement to hand over power was implemented in the past. Sushil Koirala and Oli both violated it. However, one thing is sure that the people are not happy with the fall of the Oli government and the new government will not be able to maintain the nationalist stance as shown by Oli. 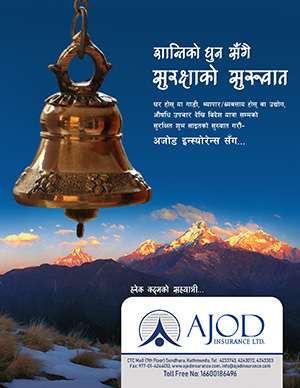 The new government is likely to welcome Indian interferences into Nepal’s internal matter. It may not be a big surprise if Dahal-led government gives the task to build the fast track to the Indian company. Former Indian ambassador to Nepal Rakesh Sood had already hinted at this. Anyway, the fall of the Oli government could not be taken as a good sign for maintaining political stability and safeguarding national sovereignty.